Natural Beauty So if you love the look of marble counter tops and want to use it in your kitchen, choose the honed finish and always use coasters, cutting boards and trivets to protect against scratches. Natural Aging. Over the years the marble will absorb stains, the patina will change and the stone will begin to reflect the essential character of your home. This is especially true of marble tile floors, which become more beautiful with age and use. More Ideas. Also, consider using this natural stone for marble bathroom vanities, tile flooring, a marble fireplace, tub decks and marble shower surrounds. 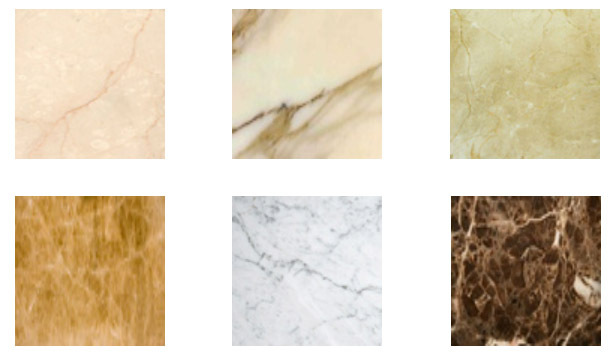 See the color selection for Marble. Surface patterns typically will have a flecked or pebbled appearance which can vary in size and shape and in the density of the pattern depending on the particular mix of quartz, crystals and minerals that make up the stone. Versatile, resilient and naturally beautiful, granite is an excellent surface for any project you're planning. 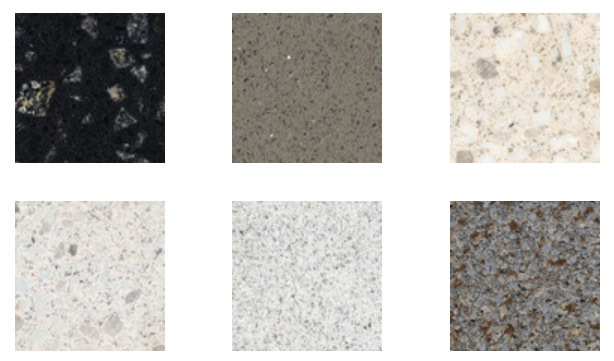 No other natural stone or engineered stone can match granite's numerous and unique characteristics. 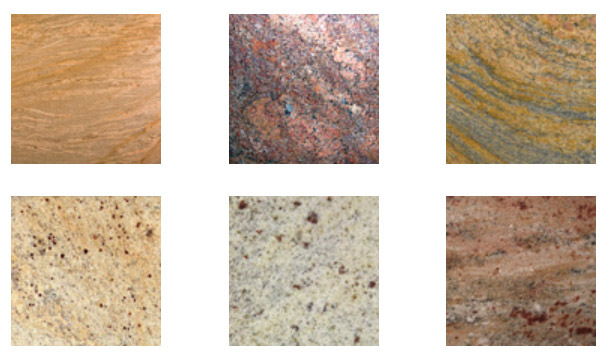 See the color selection for Granite. Quartz surfaces offer strength and durability and are twice as strong as granite. 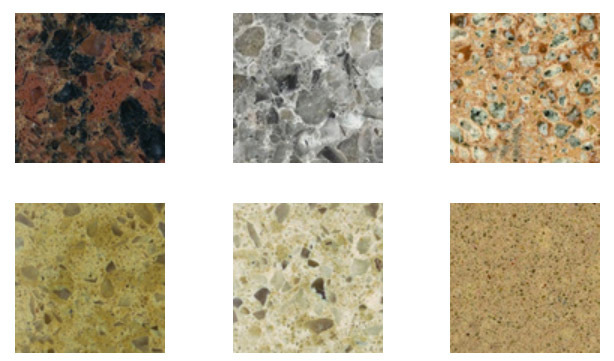 A quartz countertop is maintenance free, with no sealing, polishing or reconditioning needed. Simply wash with warm water. It's that simple. Unlike granite, quartz is certified by NSF International as safe for use as a food preparation surface. Quartz is nonporous; therefore, food and moisture cannot penetrate the surface — the main source of growth for harmful bacteria. Plus, unlike granite, quartz surfaces will resist stains from common food items such as wine, coffee and tea. Quartz is a pure, all natural and extremely hard stone. In fact, quartz is the hardest non-precious stone that can be found in the earth's surface. With its beauty and performance advantages over granite, a quartz kitchen countertop or bathroom vanity will add value to your home. See the color selection for Quartz. Durable surfaces made of 75% recycled content. Composed of post-industrial or post-consumer materials and bound by an environmentally friendly resin which comes in part from corn oil. An ideal substitute for natural or engineered stone. Each Recycled slab is unique with different pattern, texture, shades and coloring. Please check each product color for availability. Call us at 443-543-0139. See the color selection for Recycled. 1581 Sulphur Spring Rd Ste 101 Halethorpe Maryland 21227. I highly recommend United Marble & Granite. Tricia, Nick, Rodger and Angel were all a pleasure to work with. The process was quick and my counter tops/sink turned out great! Just in time for Christmas. Thank you all!! Hamide and the shop manager provided friendly and courteous service. I highly recommend them for your next granite selection and installation!! United Marble & Granite has great customer service. They not only have good products, they give good advice to help you make your selections. The technicians for measuring and installing are courteous and competent.